Hyderabad presents an exciting confluence of cultures. The 400-year old city with a resplendent history blends the best of various cultural influences. Today, the old world charm rubs shoulders with technological innovation that is slowly becoming the city's forte. Galloping its way towards realising its dream of becoming the Silicon Valley of India, the city is home to many global IT firms, international companies, central and state government units, research and development institutes and defence establishments. With a dynamic leadership, the state is steering the nation to new dimensions in the fields of Information Technology, Biotechnology, Pharmaceuticals, Business Management, Construction, Pharma, Insurance, Tourism and more - to emerge as a land of immense business opportunities. The city is a leading destination for FDI's and MNC's like Dell, Deloitte, IBM, Microsoft and Oracle and has become a constant fixture of the itinerary of global leaders and business delegates. Distinguished international personalities such as George W Bush, Bill Clinton, and Tony Blair, have visited Hyderabad in the recent past. Hyderabad, located in the centre of India, is the capital of the state of Andhra Pradesh and is one of the fastest growing cities in India. Technological innovation is slowly becoming the city's forte and it is home to many global IT firms, international companies, central and state government units, research and development institutes and defense establishments. Apart from IT, Hyderabad is also emerging as a leader in the Pharmaceutical, Insurance and Tourism sectors. The city is a leading destination for companies like Microsoft, Deloitte, Oracle, Dell, E&Y, Google and IBM. Hyderabad has become a constant fixture of the itinerary of global leaders and business delegates, and has played host to distinguished personalities such as George W Bush, Bill Gates, Bill Clinton, and Tony Blair. The city is well connected by air, rail and road to international and Indian destinations. Many leading cities in India like Mumbai, Delhi, Chennai, Bangalore and Kolkata are all within two hours flying distance from Hyderabad. It has a comfortable climate; it does not have the extremes in temperature except in summers, nor the incessant rains and humidity of the coastal regions. The evenings are generally pleasant and the winters balmy. Hyderabad is the ‘Central Metro’ of India. It is about two hours away by air and twenty-four hours by rail from the other four metros - Delhi, Mumbai, Chennai, and Kolkata. International flights are available to the USA, UK, Frankfurt, Singapore, the Middle East, Bangkok, Colombo, and Kuala Lumpur. Hyderabad is centrally located and exudes a huge potential to be transformed into a transit hub of South Asia. There are regular domestic flights to all major cities in India. Hyderabad is well connected to all the towns and cites through super fast and Express trains. Regular bus services are available to Mumbai, Nagpur, Bangalore, and Chennai. For travelling within the city, you have the option of choosing between the buses, metro rail, autorikshaws and taxis. Hyderabad has one of the largest intercity bus services in the world. Bus services are available to all corners of the city and tourist destinations and with a bustling neighbourhood of IT companies, you will find some public transport just outside the ISB gate. 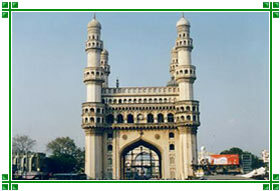 Hyderabad was a great centre for trade and commerce and the Nizams' Hyderabad was the largest princely state in India. The city bears the indelible marks of the two dynasties that ruled-the Qutb Shahis and the Asaf Jahis. On November 1, 1956, the map of India was redrawn on linguistic lines and Andhra Pradesh was born, with Hyderabad as its capital. The area exhibits undulating topography with number of tanks and hill ranges. Hussain Sagar located in the heart of the city bisects it into Secunderabad and Hyderabad. The Musi River passing through the middle of Hyderabad city flows in an easterly direction. Both the cities have a cultural heritage; Hyderabad is already 400 years old and Secunderabad celebrated its 200th anniversary in 2006. 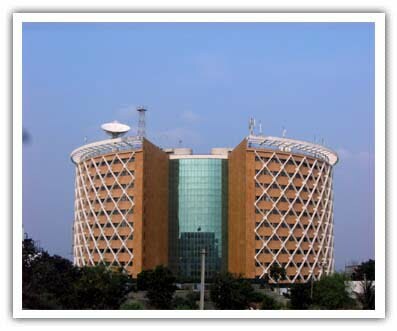 Hyderabad which was once known for domes and minarets has now become "Cyberabad" an investor's paradise in the field of Information Technology. People of the twin cities are proud of the history and heritage, their unique blend of cultures, the relaxed pace of life, and lifestyle, their cuisine- but they also welcome new comers with open hearts – and the difference between residents and visitors is hardly felt.